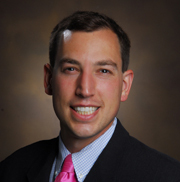 Jesse Ehrenfeld, M.D., MPH, associate professor of Anesthesiology, Biomedical Informatics, Surgery and Health Policy, has been named director of education research for the Office of Health Sciences Education. Appointed in January, Ehrenfeld said he has worked with nearly 40 faculty members on developing, piloting and implementing various education research projects. “There are many faculty doing some really innovative, exciting work in the education space, particularly tied to Curriculum 2.0,” Ehrenfeld said. “There are opportunities to advance our pipeline of scholarship, disseminate the groundbreaking work that we are doing here at Vanderbilt and turn it into peer-reviewed literature. Although most of his work will focus on supporting faculty, Ehrenfeld said he will also help residents and students with research and scholarship initiatives providing mentorship, oversight and assistance with project management. Bonnie Miller, M.D., associate vice chancellor for Health Affairs and senior associate dean for Heath Sciences Education, is grateful Ehrenfeld is on board to advance education research and scholarship. As the education scholarship and capacity grows, Ehrenfeld anticipates the program will expand. “This new role has given me an exciting opportunity to work across the entire continuum of training in the health sciences,” he said. “Across the medical school, our residency training programs and faculty development activities, there is an astounding amount of innovation happening. Ehrenfeld said he holds weekly office hours and is available for one-on-one consultations.